Thanks to PSD Freebies for this awesome Mockup! Download Free Samsung Galaxy S8 in Hand Mockup. 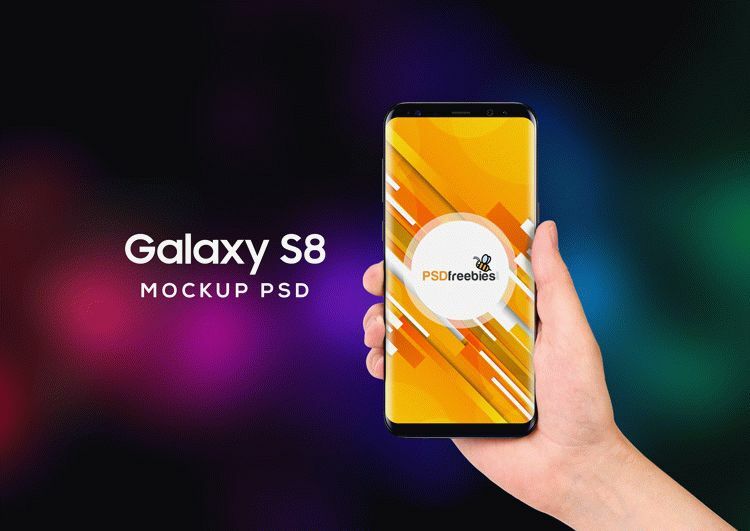 You can display your design in a more efficient way on this free Samsung Galaxy S8 in Hand Mockup, just add your own graphics with the smart layer. You can change background color according to your design and showcase your design in a modern, simple style.